Global jet-setters know that frequent city breaks and business travel can put a crimp in a stable exercise routine. When you are back on your home turf, it helps to try something new and exciting to get you motivated and re-energized. After all, running mile upon mile on the treadmill can only hold your attention for so long. Instead, check out one (or all!) 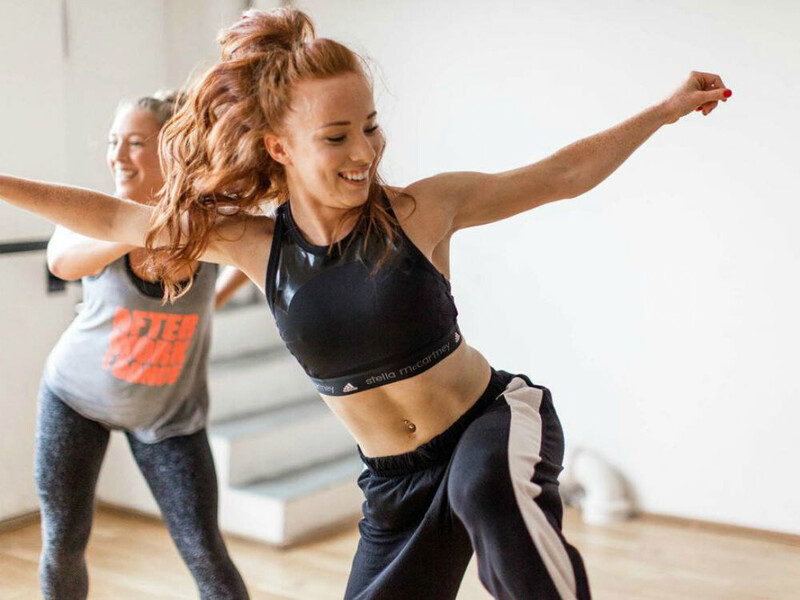 of these fun, original and decidedly non-boring exercise classes in London. You’ve probably tried spinning, but this boutique studio puts a fun twist on the classic cycling workout. With its low lights and loud music, you’ll feel like you’re in a dance club instead of a gym. And the best part is, you can choose your flavour: sign up for a live music ride, featuring a saxophone player to distract you during your jumps; pick the #TFIF ride to kick off the weekend with top dance beats; or try the Es Paradis ride, which brings an Ibiza-style glow party to London. The high-energy, 45-minute session will fly by before you know it. What happens when yoga meets “vogueing”? (Yes, we’re talking about Madonna’s iconic dance move.) You get an exercise class that’s undeniably fun and surprisingly effective. This chic new trend brings a higher level of cardio to traditional yoga but maintains the focus on strength and mindfulness. And of course, you’ll be striking a pose to a soundtrack of ’80s beats. Classes are offered at various studios around London, depending on the day and time. If you’re in the market for a more traditional yoga class but still looking for something special to take your workout to new heights, then Yogasphere is your answer. 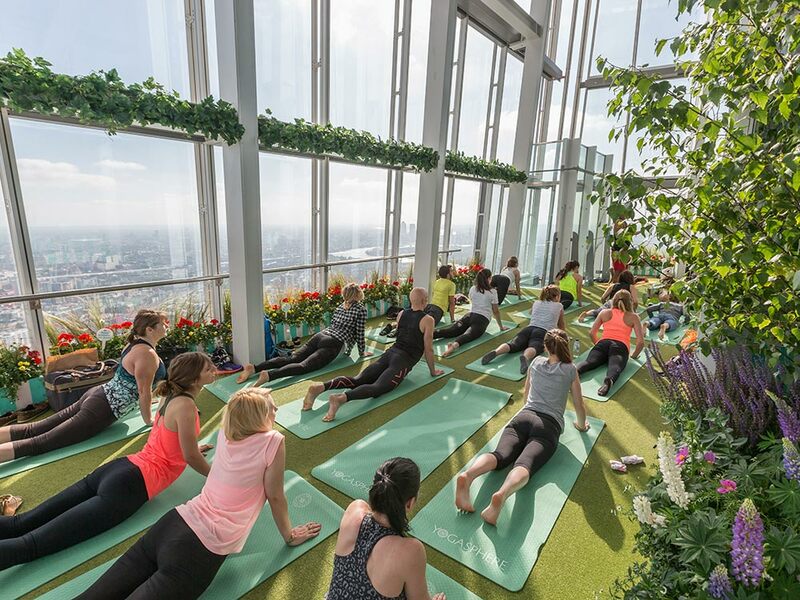 They’re experienced teachers offer classes at the top of the Shard every Saturday morning so you can stretch your muscles, raise your heart rate and find you centre – all while admiring unparalleled city views. Want to dance like your favourite pop stars? Then the music video classes at the cool Shoreditch studio Frame are just what you need. Choose Music Video Classics if you want a more Michael Jackson vibe or go for the modern option if emulating Beyonce is more your thing. And remember, these classes are just for fun (and fitness!) – no special dance skills required. If you’re planning on jumping back into your workout routine as soon as your holiday ends, be sure to book a luxury airline, such as Etihad Airways, so you can arrive rested, relaxed and ready to hit the gym. For your chance to WIN the ultimate Michael Kors Jet Set experience courtesy of Etihad Airways click here. To limit the effects of jet lag while travelling, Etihad Airways suggests exercising early in the evening and in the morning once you arrive at your destination. Click here for more information. Want to book your own jet set flight experience? Visit participating Michael Kors stores to collect a £200 voucher to redeem against any Etihad Airways business class flight booking. Click here for more information.